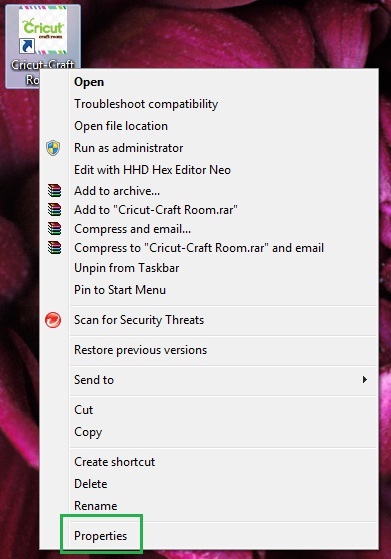 While it's true that PC haven't released an update for Windows 8, you can still use it on a computer that has that operating system. 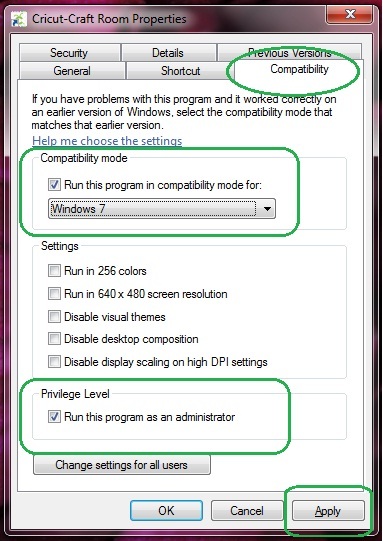 From the "Privilege Level" section click on the check box next to "Run the program as an administrator"
Press Apply then OK to close the Properties box. Now try opening CCR again. If you still have the same problem repeat the same process, this time selecting a different operating system. 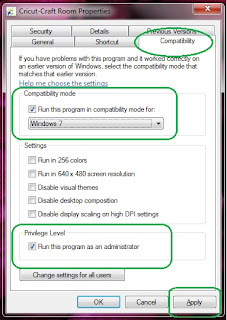 Most users have success with Windows 7 but other have had to use Vista or XP. You are an absolute life saver, thank you so much!!! If you've done both (changed compatibility mode and run as administrator) then it's possible your anti-virus program is blocking CCR. You simply ROCK! Thank you for figuring this out for us! Do you know if CCR works for a PC Tablet too? It's all touch screen and I'm not finding any of these menus on mine. I already have CCR set up on our main computer but wanted to set it up also on my tablet so I could leave my Cricut in my artroom. Thanks for any help!